The show’s location — which is described as “drawing from a place reminiscent of [Alessandro Michele's] childhood” — is a series of museums that feature ancient Roman statues and artifacts, as well as artworks from the medieval and Renaissance period, and collections of jewels and coins. Along with staging the show at the Capitoline Museums, Gucci is also set to make a donation to the restoration project of the Rupe Tarpea. Located on the Capitoline Hill’s southern summit, the Rupe Tarpea is a steep cliff overlooking the Roman Forum. Until the first century A.D., traitors were sentenced to death from the cliff. 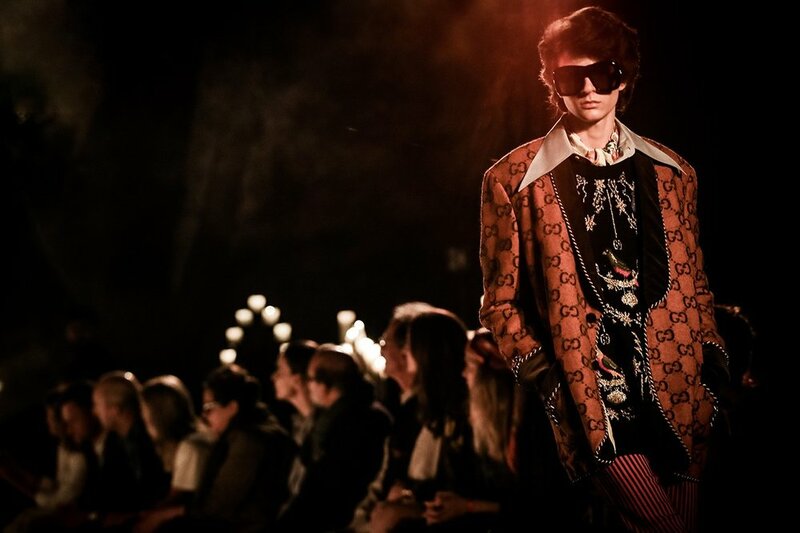 Gucci’s Cruise 2020 show will take place at the Capitoline Museums on May 28 this year. 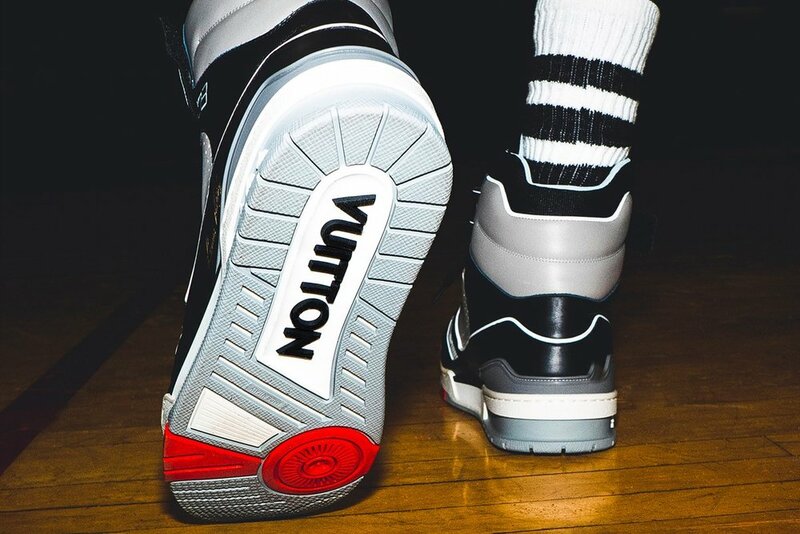 Serving as Virgil Abloh‘s first sneaker for Louis Vuitton, the LV 408 Trainer has stood out as a notable piece in the designer’s inaugural collection for the fashion house. 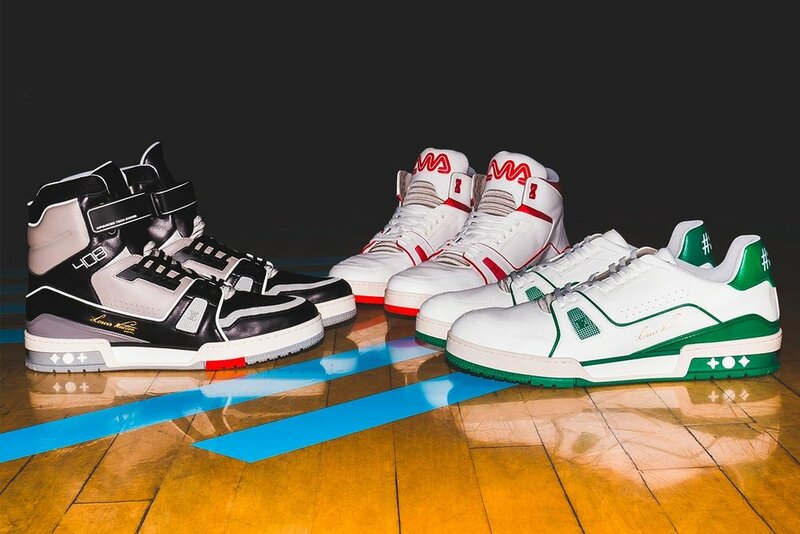 Looking to highlight the shoe, LV recently launched a campaign which takes the sneaker to the hardwood, investigating its unique basketball inspiration. Made in Italy, each shoe reportedly takes six hours of stitching and is made of 106 components, 20 pieces just to make the sole itself. 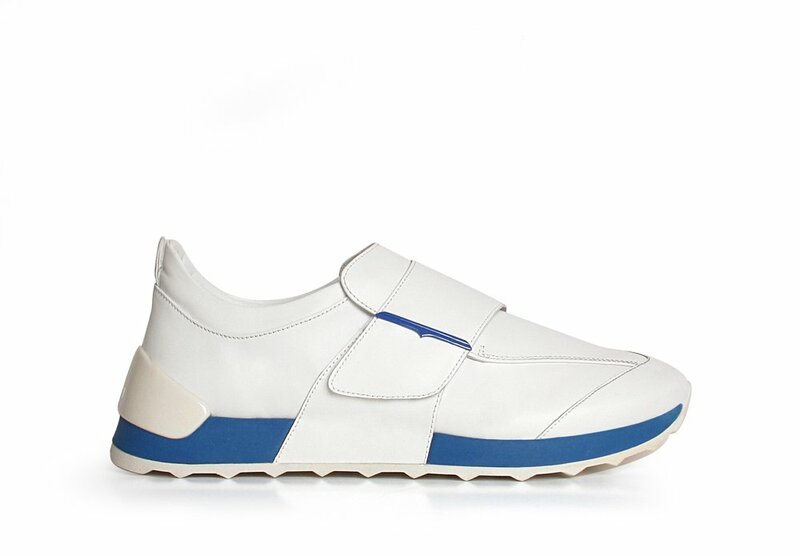 Undeniably marked with quality, LV408 Trainer exudes an aesthetic associated with retro sportswear and informed by the luxury of LV. Check out the campaign and head over to www.louisvuitton.com to pick up a pair now. Virgil Abloh’s second collection for Louis Vuitton proved to be an exemplary infusion of retro-vintage inspiration, with the designer channeling his inner Michael Jackson for the uniquely designed runway show. 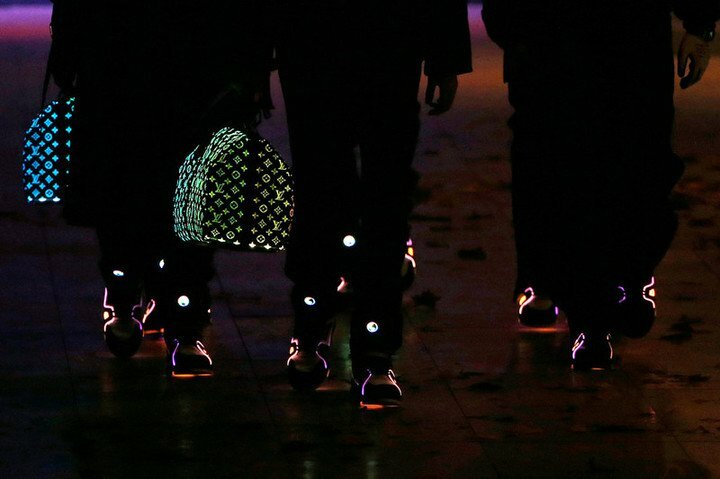 While the clothes were packed full of unique cuts that donned a refined finish, the fiber optic-infused monochrome bag and light-show-bearing sneaker stole the show. 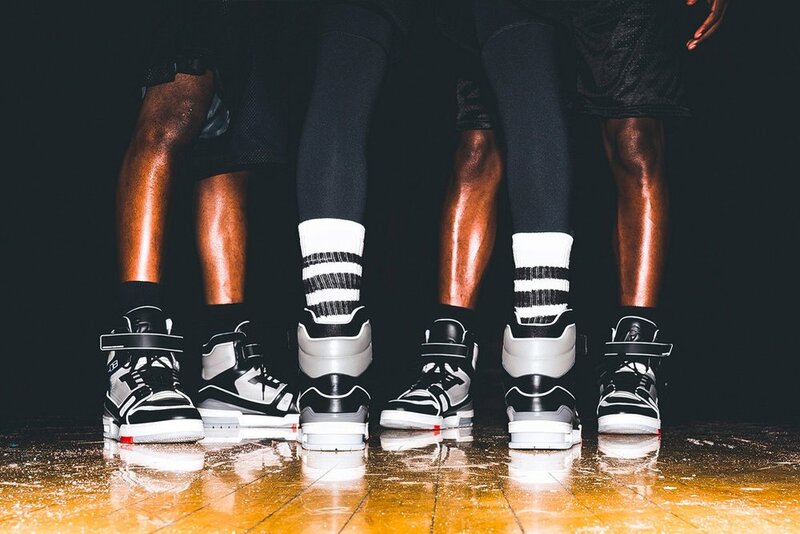 In a unique power-move for the designer, one part of the show included a black-out of the venue’s runway lighting, with 5 models stacked in a diamond formation showcasing the collection’s new monochrome-print bag and newly created sneaker. As spotlighted in a recent Instagram post from the brand, the new high-top shoe totes a color-changing detailed upper with a tongue that hosts a morphing Louis Vuitton logo. The new pieces ought to catch a few eyes, and being one of the highlights of the show, will most likely fetch a hefty price as well. Check out the runway image above and a more detailed look below, and for more fashion-related news be sure to peep the recent street style from this year’s Paris Fashion Week. Saint Laurent is set to host a pop-up shop at Isetan Men’s in Tokyo, Japan beginning next week. The French fashion house is expected to launch its 2017 fall/winter collection at the famous department store. The pop-up is Saint Laurent’s first since Anthony Vacarello became Creative Director. Leather motorcycle jackets, graphic tees, button-downs, hoodies, and backpacks will all be up for grabs. The luxe label’s gritty, psychedelic visual campaigns will be broadcasted throughout the venue, as well. If you’re in Japan, stop by Isetan Men’s in Tokyo from July 12 – July 25 to check out Saint Laurent’s pop-up shop. SS 16 brings the joy and harmony to life with the variant colors from pastel to exotic contrasting tones all at once. Stirred from real life experiences, different lifestyles, art, travel and photography; collection consist of styles that will enlighten every wardrobe with a spark of sophistication. The line is inspired by iconic animals and memorable movements of life with outstanding colour combinations. Our picks for warm-weather essentials of 2016 range from quick-dry peach fabric swim shorts, soothing linen shirts, classic polos with warm pastel colors and accessories derived from elegance. Gentlemans Diary Magazine Team loved the aesthetic and the gentleman vibe. What about you ladies and gentlemen? Visit here the official Bluemint site and discover your favorite items. Zara has been under fire as of late for “plagiarizing” designs from other artists – some motifs the company used looked similar to that of Tuesday Bassen’s work and a recent collection strangely resembled Kanye West’s Yeezy line. Nevertheless, the fast-fashion giant moves on and now we get a glimpse of their men’s collection for the 2016 fall/winter season. In this campaign, we see Zara sticking to what it does best – high-end looking staples that won’t break your budget. Although shot in black and white, the spread does a good job showcasing some of the outerwear offerings the label will shortly be releasing — boiled-wool top coats, shearling-trimmed leather jackets, denim pieces, and a few bombers. The suits and knits are also something to watch out for in the coming months. Etro’s spring-summer 2017 runway show served as a meeting of friends and family as Kean Etro recruited those closest to him to hit the catwalk alongside models. Muted tones were married with relaxed silhouettes as the Etro man took on a grounded approach to the fashion house’s celebrated penchant for prints. Unstructured suits were joined by band collar shirts, striped tees, lightweight knit sweaters and leisure bombers. Oversize coats, slouchy tees, overshirts, patterned polo shirts and summerweight field jackets brought the lineup to a successful finish. Gentleman's Diary Magazine's Editor-In-Chief Pasquale Karatzetzo attended the show and as he shares with the us the room was buzzing with good vibrations and well made-fashionably garments. Thumbs up to Etro! Emerging from an economic and industrial boom in Japan in the 1960s, Japanese designers found inspiration in the fusion of Asian silhouettes with European folklore and American pop culture. The approach of emphasizing an admiration for traditional Japanese art as well as the forms and ideologies of modernism produced some of the world’s most celebrated avant-garde designers such as Kenzo Takada, Rei Kawakubo, and Yohji Yamamoto. They’re all credited to having created and established the Japanese aesthetic in global fashion. Their cultural impact also challenged the silhouettes seen in past womenswear designs. Italian fashion house Missoni teams up with Converse yet again for a seasonal collaboration on the Chuck Taylor All Star ’70 Hi. The iconic silhouette is dressed in two vibrant combinations of red, yellow and green-knitted patterns which are contrasted by the lacing options and custom leather heel patch. Additional details include a shortened toe cap and Converse’s red license plate. 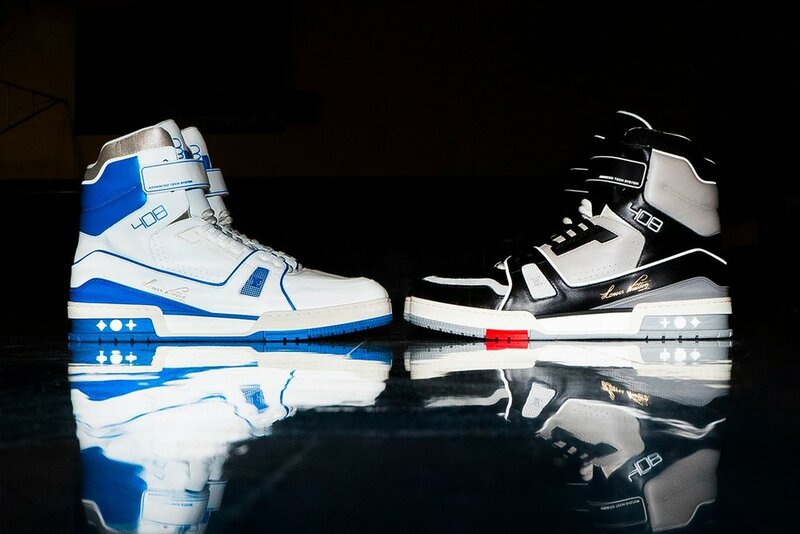 Purchase both colorways at select accounts starting April 29. For 2016 Neymar Jr is again the face of POLICE. Instinctive and determined, Neymar Jr is an idol to people of all ages and he fully embodies the spirit of the Police brand. Robert Pattinson fronts the Fall 2016 campaign of Dior Homme, photographed by Karl Lagerfeld. Louis Bauvir fronts the Spring/Summer 2016 campaign of Just Cavalli, photographed by Richard Bush and styled by Sarah Richardson. Tim Schuhmacher fronts the Spring/Summer 2016 campaign of COS, shot by Karim Sadli and styled by Jonathan Kaye. Dior Homme unveiled its Spring/Summer 2016 campaign, featuring featuring Victor Nylander, Alain-Fabien Delon, Oliver Sim and Rinus Van de Velde captured by the lens of Willy Vanderperre. Sam Heijblom fronts the Spring/Summer 2016 campaign of Carven, photographed by Pierre Debusschere and styled by Tom Van Dorpe. New Balance is adding another collaboration to its list by teaming up with lifestyle brand J.Crew. The two will be using the New Balance 997 model as the canvas of choice to set the tone for the upcoming 2016 spring season. Featuring premium materials such as leather, nubuck and suede, its mix of tan and brown shades grab inspiration from butterscotch candy. The J.Crew x New Balance 997 “Butterscotch” is set to release on March 12 for a retail price of $210 USD. gnacio Ondategui fronts Moncler’s Gulliver’s Travels Spring/Summer 2016 campaign, photographed by Annie Leibovitz. The campaign also features Lilliputians wearing the electric blue Longue Saison jacket.